To participate, you will need to visit your local participating Valvoline service locations, or available upon request from your service technician. 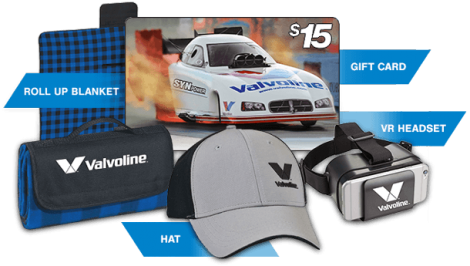 Your keyword will be specific to your location and will also determine where you will need to return to redeem future offers and coupons from Valvoline Drives. After registering, you will receive a coupon in your registration confirmation email good for $7.50 off a Full Synthetic or MaxLife oil change at your selected Location. During the Promotion Period, if you visit your Location and purchase a Full Synthetic or MaxLife oil change for your vehicle you can then Upload a photo of your receipt and you’ll receive additional bonus offers including a FREE Bluetooth Speaker & Oil Change Coupons. Contest ends on December 31, 2018. There is a limit of 1 entry per person per day. 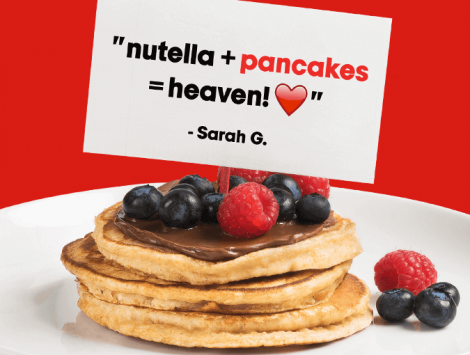 Enter Nutella Instant Win Contest for a chance to instantly win one of 40,000 Free Nutella SPIFES (half spoon, half knife, not sold at retail) or one of 1,515 secondary instant win prizes! You will need a PIN code printed inside specially marked Nutella products for a chance to instantly win prizes! The contest closes June 30, 2018 and if you are an instant winner you’ll get a message on screen notifying you of such. Good Luck!